This log from KFC makes your fire smell like fried chicken. KFC has done it again with the gag gift of the year. Last year it was the KFC Internet Escape Pod, this year it is the KFC 11 Herbs & Spices Firelog. Yes, it’s an actual log that you can burn in your fireplace. The KFC 11 Herbs & Spices Firelog is not meant to make your fire brighter, nor can it make it burn different colors. What it can do, is turn your fire smell like fried chicken. 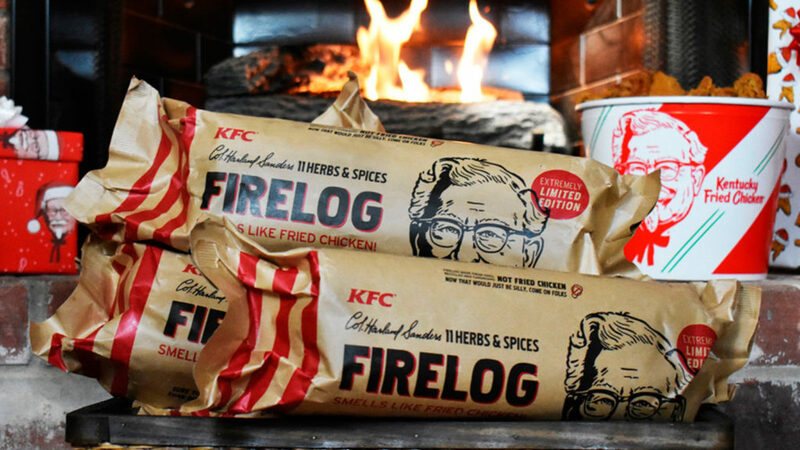 Made by Enviro-Log from 100 percent recycled materials, the KFC 11 Herbs & Spices Firelog is the perfect gag gift that is sure to make Santa forget all about those carefully laid out milk and cookies. Just don’t give it to a vegetarian.